6mm antique copper plated soldered jump rings. Brass base metal, lead free and nickel free. Great for so many jewelry making applications! Perfect as a terminating end paired with lobster clasps or spring ring clasps. 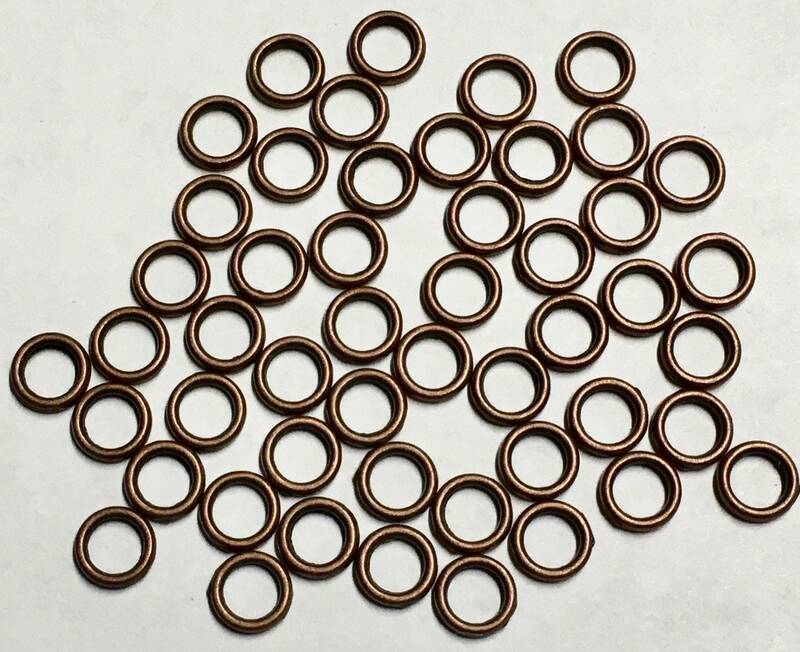 50 soldered jump rings per package. Made in the USA.